All I can hear is the slow thump of the bike as I manoeuvre it over the loose gravel and sand; and the sound of the wind sweeping the flat plain of the valley encircled by rocky, barren hills. I feel a nip in the air and look up to see dark clouds gathering on the horizon. I suspect I took a wrong turn at a fork in the road a few kilometres back. However, with no other humans in sight, I decide to persist. Climbing an uphill track, I am back on the serpentine tarred road; and a few curves later, perched on the hill side and overlooking the next valley, I get the first glimpse of my destination. It stands in contrast to its surroundings – a verdant patch of habitation in the midst of miles of barrenness. I can hear the Indus flow in a gorge a few hundred feet below it, dividing the valley into two. 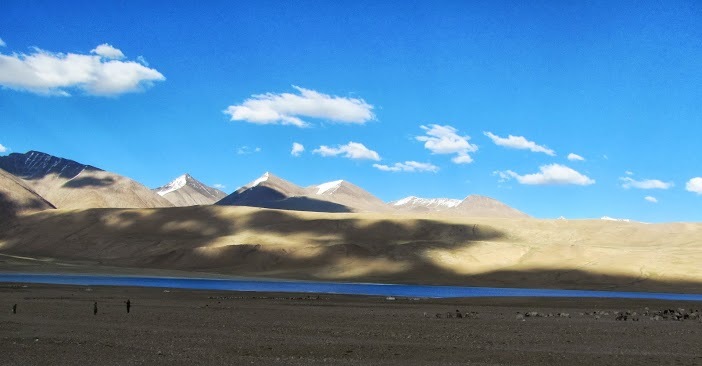 As I ride the last mile towards the campus of Students’ Educational and Cultural Movement of Ladakh (SECMOL), my mind is attempting to capture the first set of impressions in a phrase or a word – of the many that it suggests, one word lingers on, longer than the others: oasis. 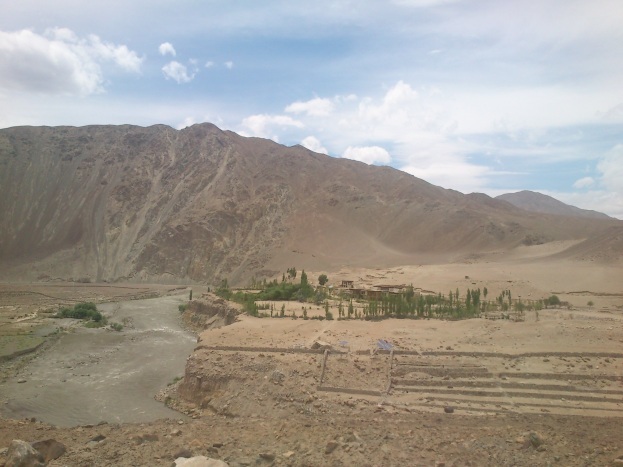 Ladakh is one of the remotest regions in the country. And the people of Leh, one of Ladakh’s two districts, are an ethnic and linguistic minority spread across habitations – which can be as small as 10-15 homes nestled on a hill – ranging in altitude from approximately 9,000 to 12,000 feet. With time, however, he realized that “If 95 per cent of the products fail, not just in schools, in any system whether it is a car factory or jam factory, then it is not the product, it is the system … that has a defect, and the system has to be changed.” (ibid) Based on its experience of working with the local students and the education system, SECMOL thus identified four main challenges: medium of instruction, unfamiliar and culturally irrelevant content in text books and curriculum, untrained teachers and communities’ lack of a sense of ownership of their schools. In the last 25 years, it has worked to address all four problem areas and has met with different levels of successes and challenges (Menon, 2010). Through the decades, however, it has continued its focus on helping students who fail the 10th class examinations. And this is done at the Alternative Institute campus designed by Sonam and built in 1994 on a barren patch of land in Phey, about 16 kilometres west of the Leh town – which I was visiting. I spend the next few hours with the students of the foundation-year – hearing them make presentations and debate on questions of Buddhist philosophy, sing Ladakhi songs; having dinner with them, and answering their questions on why I was visiting their campus! We later assemble in a large hall. A friend is facilitating an activity. “Each one of you has a story of change, a story where some kind of transformation has happened” she says, and invites us all to think of five fears that lie hidden within us; and five ‘warriors’ that may help us deal with them. She then suggests that we pair up and share our thoughts. My partner is a young girl who has recently joined the institute. She has listed ‘exam’ has her first fear. “We had an exam today no,” she later explains in a low voice. “I could not answer. Means I had a paper, but I forgot.” She pauses and looks down. I see her eyes welling up. “Last night I studied till 3 AM. Then I got up in the morning and studied again. But what I had studied they did not ask.” She is sobbing gently now. I wonder if the twelve months at the alternate institute is really able to make a substantial difference to the lives of these children. So how does the institute manage to help students who are treated as failures even by their families and friends, and are habituated to a certain way or learning; and turn them into young men and women who are willing and capable of taking responsibility of their lives? Of the different approaches that the SECMOL Alternative Institute takes, three key, inter-related, strategies seem to stand out. They also realized that it wasn’t merely the language – the content of the textbooks too, were often completely alien to the students. Ladakhi history, culture, flora and fauna etc. found no space in these books and the overall curriculum – which were designed in Delhi or Jammu and spoke not of yaks and apricots but of elephants and rain-forests (Ganguly, 2001). Being treated as ‘primitive’ by non-local teachers, who often took the relevance of content for granted, exacerbated the alienation. As the students who come to the SECMOL Alternate Institute are often from rural areas and can converse fluently only in Ladakhi, for the first few months they are encouraged to converse, make presentations to their peers, etc. in their mother tongue, as well as to share and learn more about their own culture. The faculty members are fluent in Ladakhi. And this process, thus, makes them feel accepted both inside and outside the classes. As they begin to pick up other languages – mostly English and Hindi/Urdu from their peers, foreign and domestic volunteers etc. (more on this later) the students begin to attempt a gradual and natural shift to the other languages, without being made to feel ashamed of not already being proficient in them. SECMOL also has an active publication team which attempts to create an institutional “climate where the linguistic and cultural experience of the whole child is actively accepted and validated” (Cummins, 2001). In particular, two of their main priorities have been to (i) develop culturally and environmentally relevant text-books (such as for science and social science) for Ladakhi students and (ii) develop co-curricular content (such as children’s books, a local magazine etc.) in a colloquial, written form of Ladakhi for popular consumption. This provides the readers with familiar motifs and contexts and makes it easy for them to make sense of, and begin to participate in, the academic discourses. Given how central language is to one’s sense of self, and how fundamental it is to participation in one’s community and thus to one’s sense of empowerment, the institute also lays considerable emphasis in developing the skills of speaking and listening in public forums. Every second month, every student, gives a presentation about their responsibilities. “Like what they learned in the classroom and while taking care of the organic garden or solar panels or taking care of a shop as an accountant etc.” Chozang notes. Initially the presentations are made in Ladakhi and as the students become familiar with other languages, they are encouraged to present in other languages as well. In addition to this, the good work that the alternate institute has been doing over close to two decades attracts a diverse set of foreign and domestic volunteers and visitors (Accessible Horizon Films, 2012). Many of them offer extra-curricular classes which can range from book-making to music or dance. Some also offer academic support or choose to just share their experience of travelling in different parts of the world or pursuing unusual jobs and careers. Interacting with such varied people regularly often gives the students new insights and opens up newer possibilities to them. The academic support continues throughout the winter when the number of volunteers and visitors dwindle, so that the students are ready to re-take the exam by the end of the academic session. The SECMOL alternate institute has succeeded in creating an enabling learning environment for students, who as Sonam puts it, “were sent back home with a rejected stamp after spending ten precious years of their lives in schools” by (a) developing a deep understanding of the systemic reasons that are causing the students to fail, and the seriousness and nature of the personal challenges that the students face; and (b) by focussing on just a handful of strategies and implementing them well. Given the limited resources that they work with, they do not, for instance, stress on having full time psychologists or career-counsellors on campus; but have instead chosen to focus more on creating an environment which is accepting of the children’s language and culture, and thus of them. They realize that being seen as a failure by their friends and families often deeply shakes the children’s belief in themselves, and that their comparatively secluded life in remote villages may not have prepared them well for the life that they are thrust into and must live. The institute thus strives to rebuild and strengthen their confidence and self-belief by allowing them to take responsibilities and make decisions – and by trusting them deeply. SECMOL has not yet renewed its work with the local government and continues to face many challenges. However, as I leave the campus the next day, starting on the road back to Leh, I am reminded yet again of the word that summarized my first impressions of the campus. For the 1000s of students who have passed through its portals for close to two decades, the institute, indeed, has been an oasis – rejuvenating their being, helping them prepare themselves, and setting them afresh to discover new paths and move towards new destinations. Have you ever taught first generation learners and/or multilingual classrooms? What pedagogic strategies did you find useful in such situations? Do share your thoughts below.